While you might have forgotten my current medallion project by now, I have not. I’ve been making placemats and a Christmas stocking, attending various meetings, working out, cooking and eating, having a bad cold … And I’ve worked on my medallion. When you last saw it, it needed a narrow border to define an edge and correct for sizing. I asked for advice on color. The most frequent call was for a strong pink, though my brain was stuck on orange. In the end, I combined the two and pieced a border of both. I love the way it sparkles and adds interest more than a single color would. And a big bonus was that I used a lot of small scraps in my piecing! In the last post on this project, I noted that inner borders and outer borders play somewhat different roles. introduce new elements such as colors and shapes. 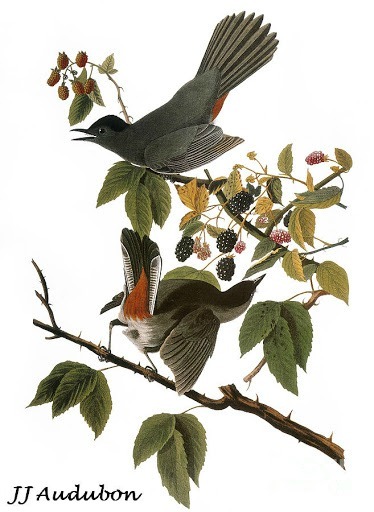 correct problems with balance and proportion; and complete and unify the composition. In my view, the pieced pink and orange strip is an inner border. It reinforces both the pink and orange colors from the center. It adds a new shape, a non-square rectangle. It stops the eye from outward movement, while encouraging some “circular” movement to notice the different orange and pink scraps. The geese, however, are a middle border. Here are a couple of things to notice about it. First, geese in formation create a sense of movement. Movement is “interesting,” in that it keeps the eyes engaged. Too much movement is disturbing, though. The next border will need to be calmer. Another thing to see is the colors. I used two of the four blues from the 4-patches on point. The other two were completely gone, and I don’t have anything else close to sub in. I also used two new greens. Did you notice that? Probably not, as there already were three other greens of similar nature. At this point, I could add almost any bright green I want and it will fit in. Finally, there are two purples, repeating the purples used in the corner tulip blocks. Because they show up again, the earlier use is not a one-off, but seems like a natural part of the color palette. This is true even though there is no purple in the center block. Another element of the geese border is size. It is visually wider than the 4-patch border, even though the measures are similar. The 4-patches on point is 5.6″ wide (measured from the center outward,) while the geese are 6″ wide. However, the tail or base end of each flying geese block creates a strong perpendicular line, while the 4-patch border has no similar emphasis to make an impression of width. In fact, because the blue patches run parallel to the edge, they provide an illusion of a narrower border. Varying the width of borders also contributes to interest. The other important aspect of the geese’s size is proportion. Remember, proportion is not only a matter of size. It also is affected by visual weight. [See my posts here, here, and here.] Because the center block is large, borders need visual weight to balance it. The geese’s width and the strong direction created by their position and value contrast give that balance. What do later borders need to do? They must continue the unity of the composition in terms of color, value, and basic style. They need to repeat the bright yellow and vibrant pinks and oranges from the center and first borders. They need to calm the center a bit after the strength of the flying geese. How will I achieve that? I don’t know yet! But it will be fun to find out. 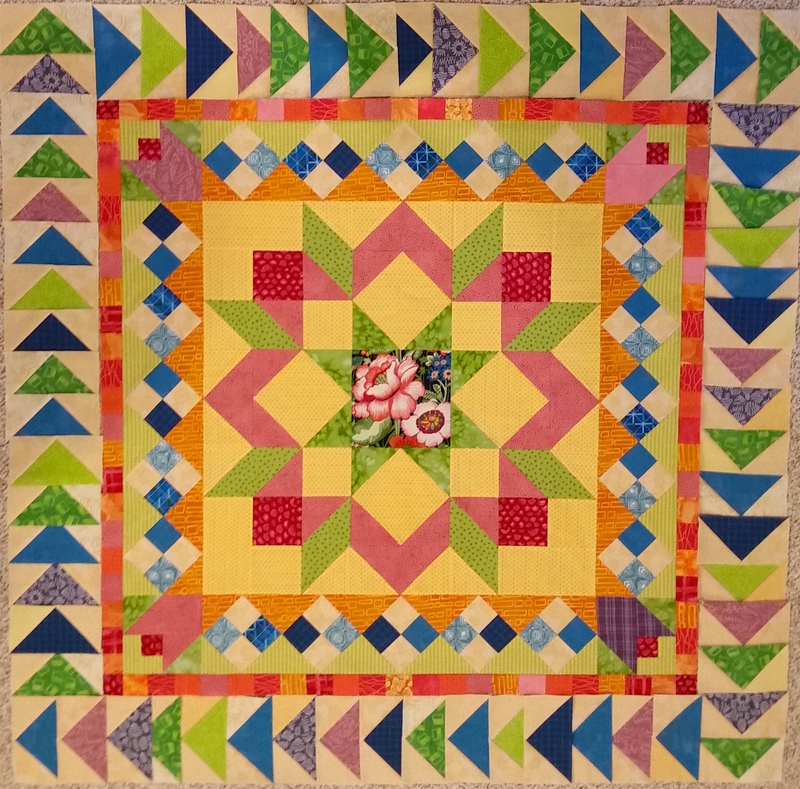 This entry was posted in Medallion Lessons, Medallion Quilts, Quilting and tagged Borders, Color, Flying geese, Movement, Proportion, Quilt borders, Size on December 15, 2016 by Melanie McNeil. The Mountain. 60″ x 60″ with 15″ center block. 2015. 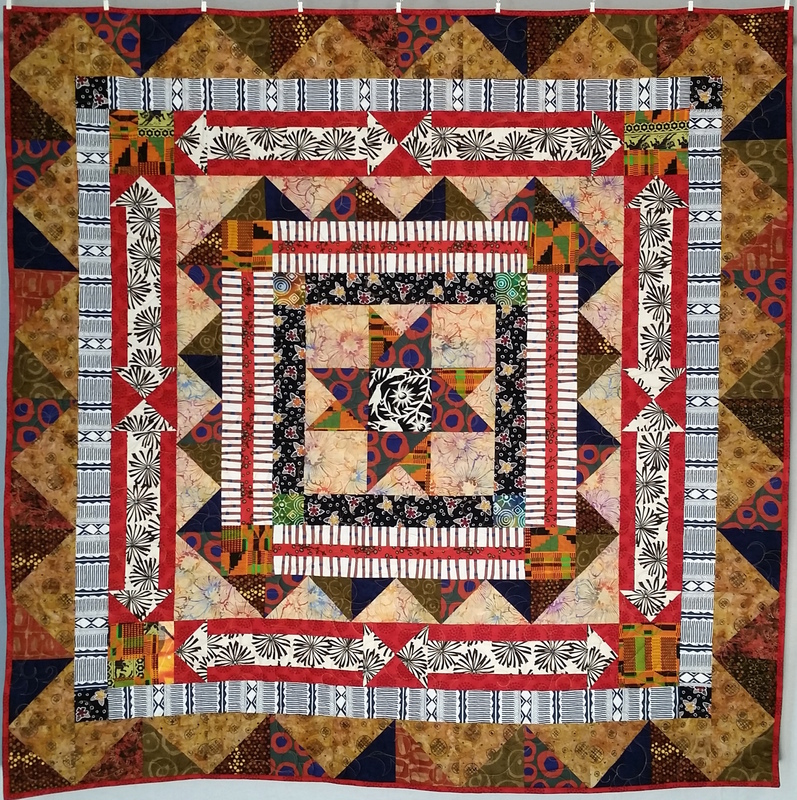 While I love all quilts, medallion quilts continue to fascinate me for a number of reasons. They’re one of the oldest formats of bedding quilting, and I love the history behind them and the huge range of styles they can take. Aesthetically, the variety of borders makes them exciting, while the symmetry appeals to me, too. Each one teaches me new lessons. But one of the things I like best is they are a mystery to be solved. I don’t need to know the ending before I even begin. 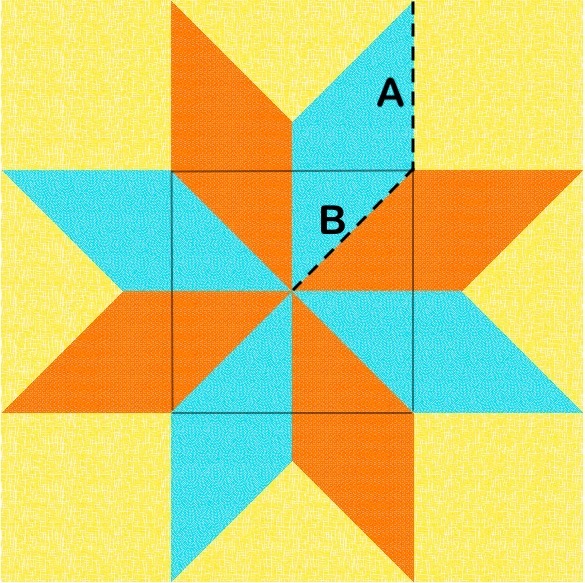 If you would like to make a medallion quilt, where should you start? First you need to consider a few things. What is the purpose of the quilt? Will it be a gift? Will it be a wall-hanging, a baby quilt, a bed quilt? Do you need to please someone else or just yourself? Colors and size, and even blocks used may be influenced by this. Is there a specific center block you plan to use? If so, that will drive many of your decisions as you go. If not, here are a number of centers that may inspire you. What colors/fabrics will you use? Are you busting stash or will you buy some new? Are you comfortable with scrappy and improvisational fabric choices? 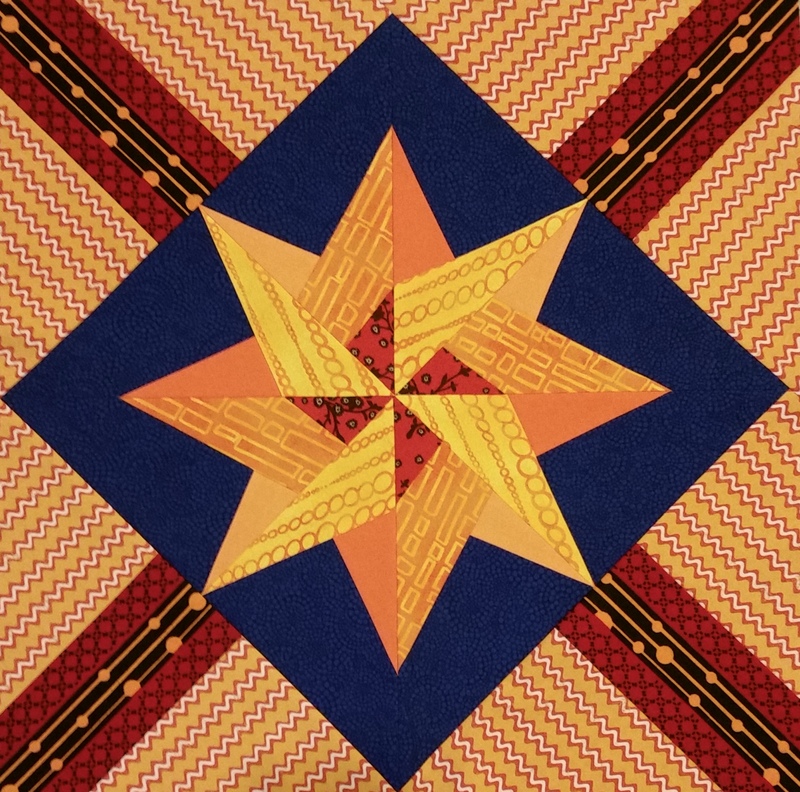 The tradition of medallion quilts allows incorporating “new” colors and patterns clear into the last border, as long as they continue to relate to what’s gone before. If you’ve already chosen a center (or have a plan for making one,) you may want to pull fabrics that might work, knowing that others likely will be used, as well. For example, if you have a 15” block, your quilt might be up to about four times that, or 60” wide. 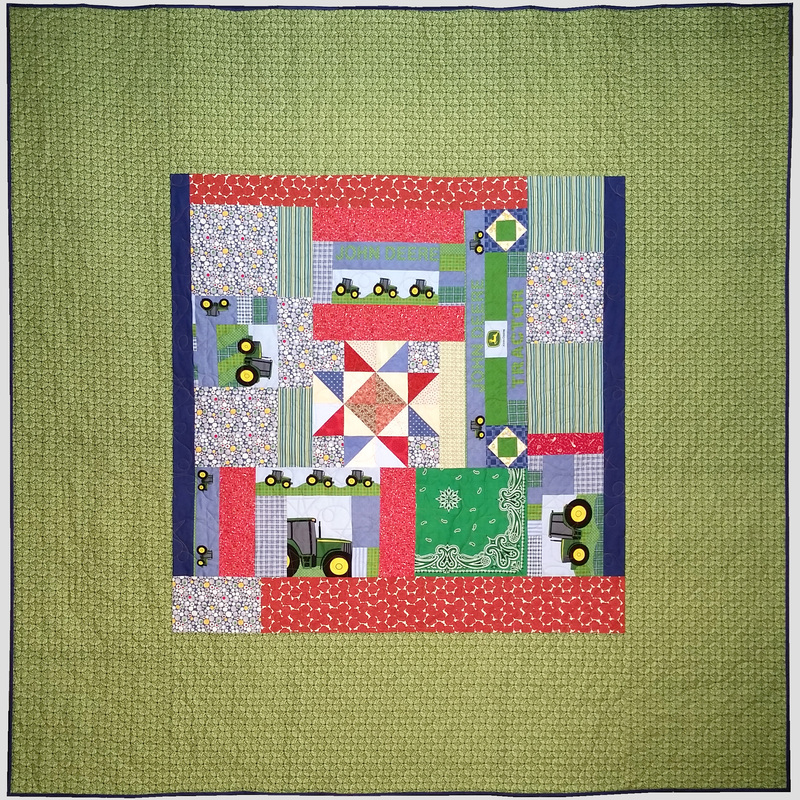 If that 15″ block were half the width of the quilt, your quilt would be 30″ wide, perhaps a wall-hanging. 15 x 1.414 = 21.21. Using a block about 21”, you can make a quilt up to about 84” and still have the same proportions. Another way to make a block larger is to make it the center of a bigger block. Rather than turning on point with setting triangles, as above, you could frame it with the outside piecing of a larger block. To the left is a basic variable star block, with the center left blank. Imagine your block surrounded by star points. A variable star would double the size of your center, as shown in the photo below. The little star below is framed by the bigger star, which could turn an 8″ block, for instance, into a 16″ block. But there are any number of ways you can use your block as the center of another. Here are just 16 frame blocks I found in EQ7! This may be a little hard to see, because there are so many and all so different. But the idea is, you can frame your chosen block with any one of the bigger blocks below to expand it and make it more substantial, just like I showed with the little mock-Amish wall-hanging above. I’ll write more about center blocks in the next Lessons post. Look for more Medallion Lessons here. Do you have a block? Have you thought some about your goals? I’d love to hear about your ideas in comments. 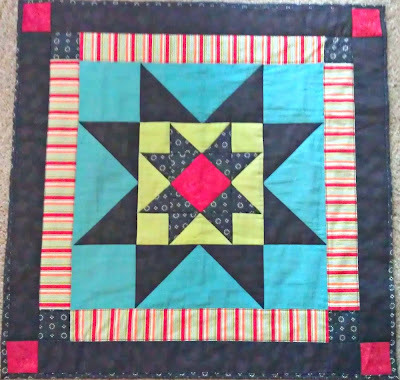 This entry was posted in Medallion Lessons, Medallion Quilts and tagged Center block, Creativity, Design-As-You-Go, Fun, Medallion quilts, Original design, Process, Proportion on May 9, 2016 by Melanie McNeil. 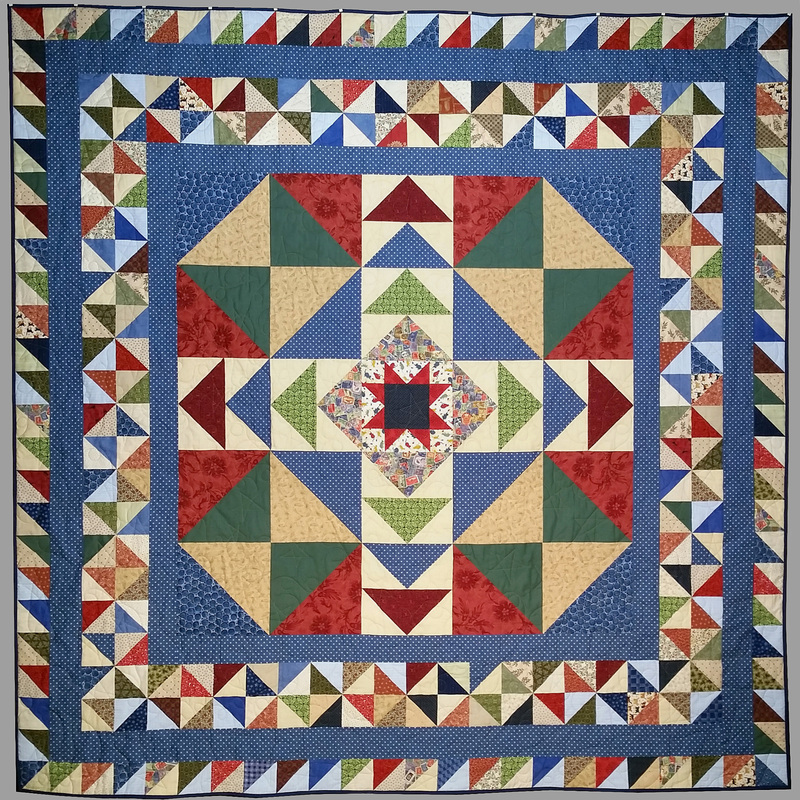 The quilt measures about 84″ square and is structured around the 50″ center block. Yes! FIFTY inches, which is why I call it the big-block quilt. I actually found the block design in the book One Block Says It All by Toni Phillips and Juanita Simonich, published in 1998. The book features patterns for 10 60″ blocks, with instructions for interchangeable borders to create bed quilts. For my purposes, 60″ was too large. If you look at the photo above, you can see the center block is created on a 5-grid. That made it easy to rescale to 50″: just make each “unit” 10″ finished instead of 12″. 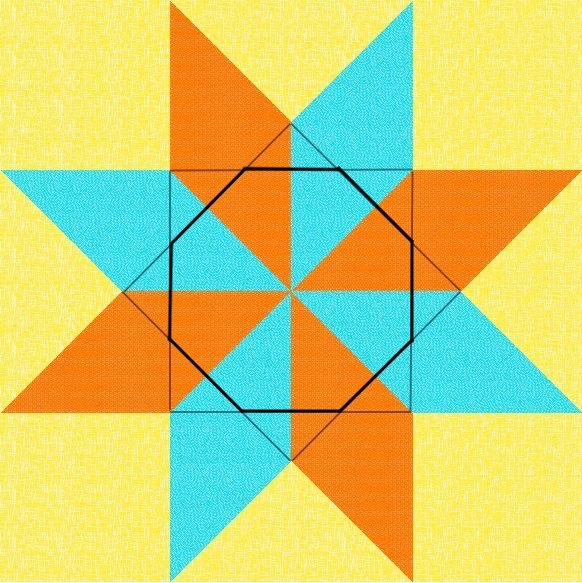 For example, the tan and blue half-square triangles in the corners of the center are each 10″ units, as is the variable star at the very middle. Each set of two flying geese is a 10″ unit, also. Remember the wonderful cats and mice fabric from the center? And some of you commented on the postage stamp cloth, too. 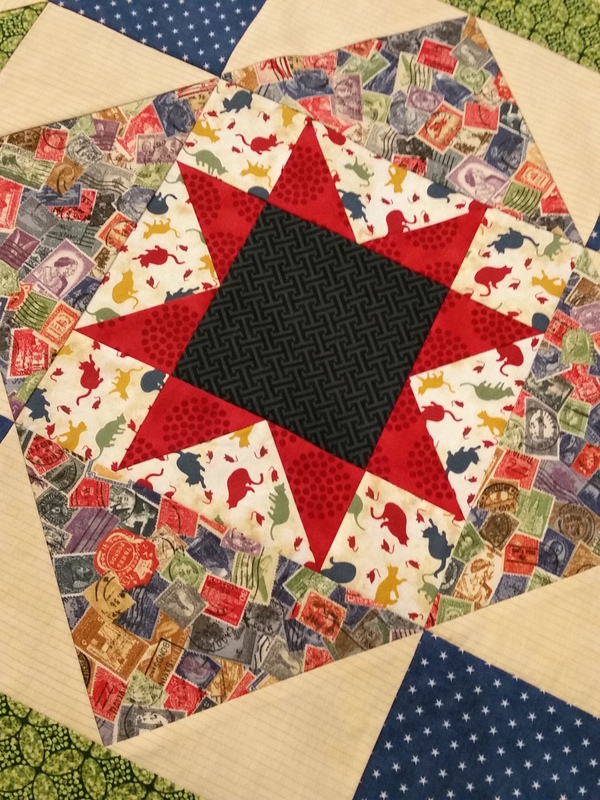 I like several of the blocks in the book and used another of the designs in DeLight!, a quilt I made last year. However, the size provides a design challenge. Whether 50″ or 60″, the large size makes proportional borders challenging. For borders to “stand up to” the center, they need to have appropriate visual weight. I honestly wasn’t sure this would work, but I think it did. And the back… A couple of years ago I planned a project with my granddaughter. We were going to use some John Deere logo fabric and a few other things to make a quilt for her little brother. Unfortunately life got very complicated, and we weren’t able to make progress on our project. I checked with her and she agreed I could use the parts of our project for this instead. 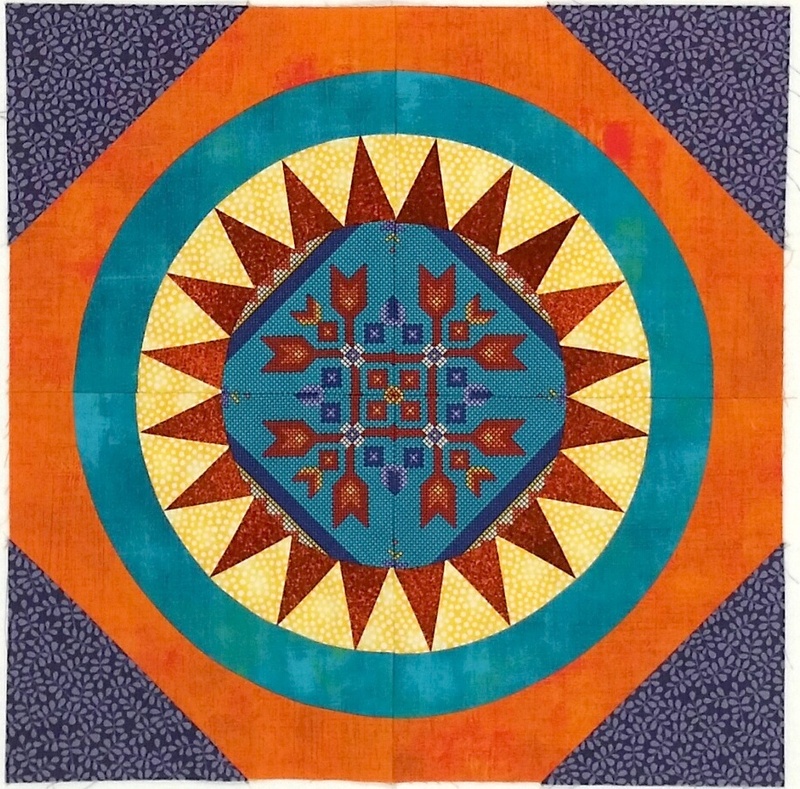 This entry was posted in Medallion Quilts, Quilting and tagged Borders, Center block, Original design, Process, Proportion on March 3, 2016 by Melanie McNeil.